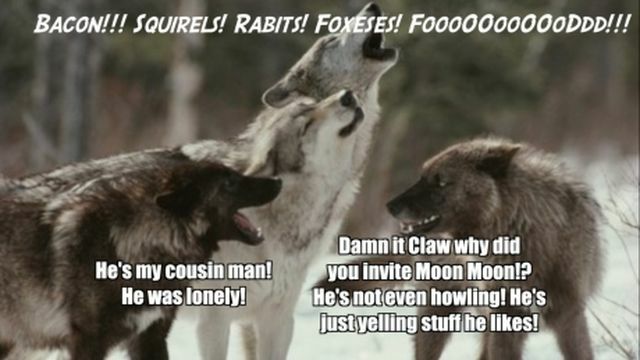 Howling At The Moon… | I Want Ice Water! Kinda like YouTube not cooperating, preventing me from posting the two other videos I wanted because of some renewed vow to stop copyright violations. Forcing me to search for alternatives instead – just have them blocked as well! I swear, it’s like all the cosmic signs point to a Big Fat Fail! So what to do, what to do? Should I just accept that no relationship is perfect and that things are as good as they’re likely to get? Or should I start contemplating a “2nd Amendment” style remedy? What’s the saying? … Don’t let the perfect be the enemy of the good. Something like that. If things are generally going pretty well, try to be happy with that instead of being upset by the things that aren’t going as you’d like — which in my case are usually things I can’t control anyway. Easier said than done, I know. Adulting IS hard! You’re right PT, Adulting IS hard. It’s not that I don’t have reason to get angry at times, but I also know that I have a tendency to overreact (like how I did when I had the problem commenting on your blog). And keeping my peace usually pays off. Revealing (I think) that he’s more sensitive to my moods that I give him credit for, he actually left me alone all day yesterday. And today we got along just fine. Hell, we even chatted quite a bit, as opposed to the usual him thinking I should hear what he has to say while he acts as if my thoughts were a waste of his time. I swear, he’s over 30 now and still manages to come off like a brooding teenager sometimes. But then, I guess I do too. They say the apple doesn’t fall too far from the tree. Well, I think we both tend to look at the world through the same kind of “depression colored” lenses, so that must be true!